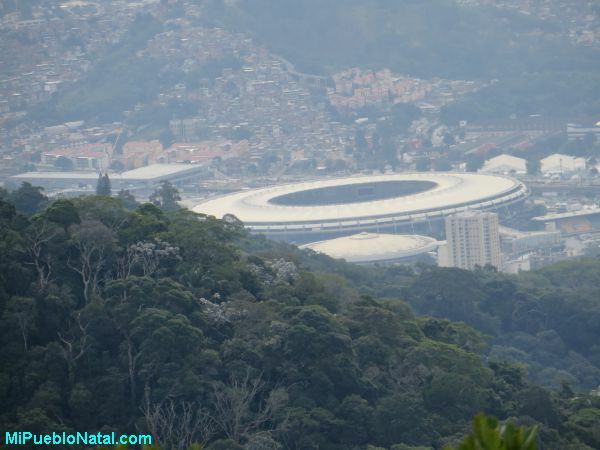 View of Maracana Stadium from Christ the Redeemer. A world cup game being played between Belgium and Russia in a beautiful afternoon. June 26, 2014 . 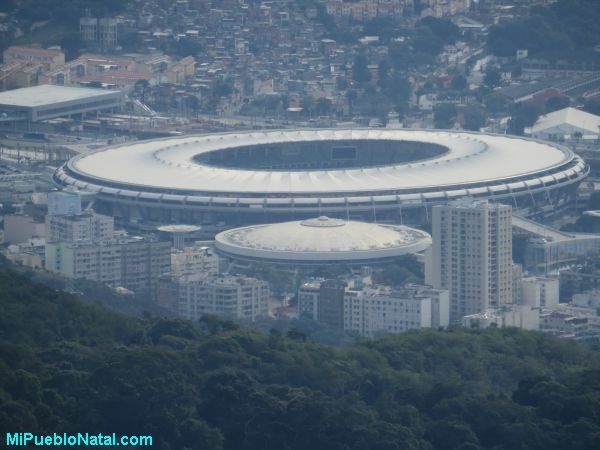 The stadium is located in Rio de Janeiro and that’s where some of the 2014 world cup games have been played including the final match of the tournament. This stadium was opened in 1950 and Brazil lost the deciding game 2 to 1 against Uruguay in front of 199.854 fans. 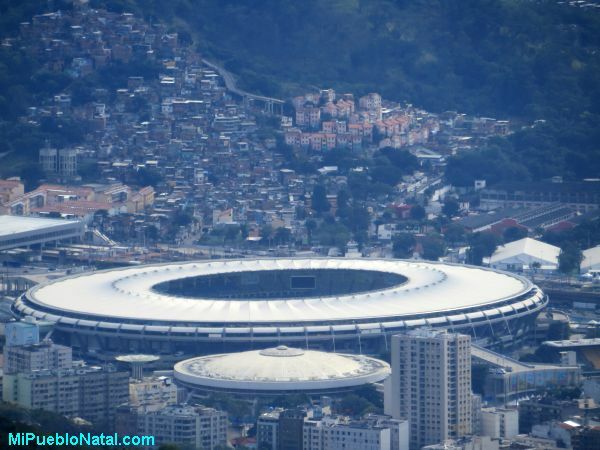 This is the largest stadium in Brazil and the largest one in South America after the Estadio Monumental in Peru. 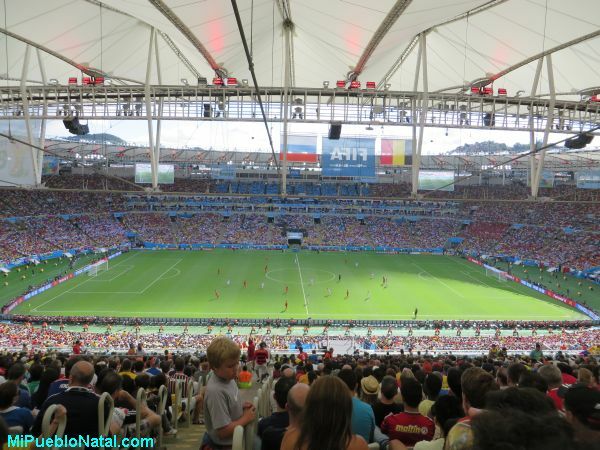 The stadium now holds 78,338 spectators and it was partially rebuilt in preparation for the 2013 FIFA Confederations cup, the 2014 World Cup which will be the first one held in Brazil since 1950, and also the opening and closing ceremonies of the 2016 Summer Olympics and Paralympics. 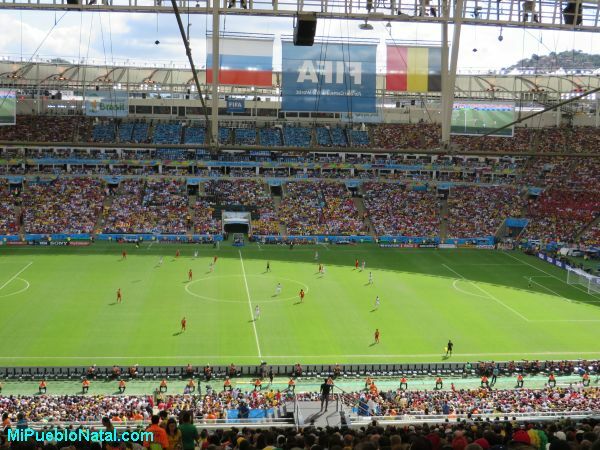 Belgium beat Russia 1 to 0 played June 25, 2014. The 1950 opening match of the stadium took place on June 16 and Rio de Janeiro All-Stars beat São Paulo All-Stars 3–1; Didi became the player to score the first ever goal at the stadium. Despite hosting a match, the stadium was still unfinished. It lacked toilet facilities and a press stand, and still looked like a building site. Despite the stadium's unfinished state, FIFA allowed matches to be played at the venue, and on June 24, 1950, the first World Cup match took place, with 81,000 spectators in attendance. 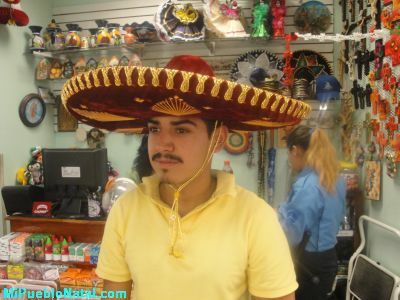 In that first match for which Maracanã had been built, Brazil beat Mexico with a final score 4–0, with Ademis becoming the first scorer of a competitive goal at the stadium with his 30th minute strike. The match was refereed by Englishman George Reader. Five of Brazil's six games at the tournament were played at Maracanã. View of the stadium from Christ the Redeemer.